People began to use nutmeg right from the first century AD. 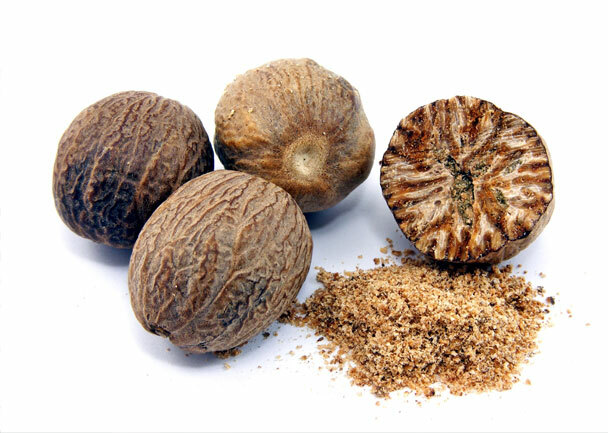 Nutmeg is found as a hard kernel inside a seed of an evergreen tree which is found in Moluccas. This spice began to be used when the Portuguese started trading in the Spice Island, in 16th century. Nutmeg became famous as a medicine and spice and by 18th century, people began to widely use nutmeg. The production of nutmeg is possible in areas having humid climate and temperature greater than 55°F. The mace is the growth which surrounds the seed. In Europe this spice is used for salty and sweet dishes. Nutmeg has a warm flavor and is attracted to rich foods. In Italy, these are used for filling pastas. In India the Mughul dishes usually contain nutmegs. Arabs use it for preparing mutton and lamb. In Dutch recipes nutmeg is used as a seasoning agent. The Indonesians use the flesh of nutmeg to make sweet meat. The other uses are in perfumes, soaps and shampoos. It is used for treating bronchial disorders, rheumatism, gas problems and also for complaints related to digestive, liver and skin ailments.